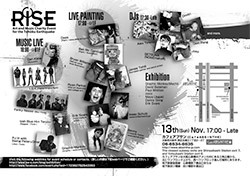 "RISE" is a one-night collaboration event involving foreign and domestic artists in Kansai as charity for the Tohoku Earthquake. On the 1st floor we have live drawing and painting and digital art demonstration(Photoshop) by Graphic Monkey , followed by a silent auction, from 6 artists, accompanied by some DJs' cool background music. 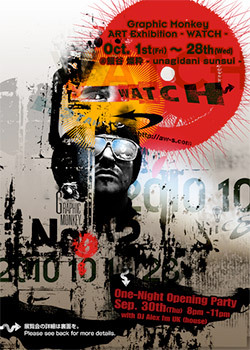 Downstairs we have 5 or 6 great Kansai-based bands and musicians ranging from R'n'R, Reggae, Jazz, Ska, Funk! 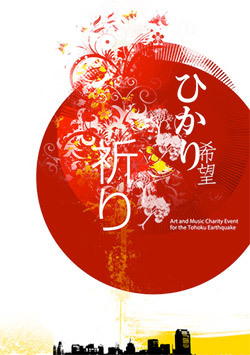 All proceeds will go to Tohoku charities.We hope you can come and support us and Japan too! The closest subway exits are Shinsaibashi Station exit 7, and Yotsubashi Station exit 6. Special thanks for: Anna Wrabel Suzuki, Alex Timmis, Ben Mc Donough, Bryan Williams, Ben Her, Café Absinthe & Staff, Dan Kane, Danny Gong, Dom Pang, Dmitri, Fanky Nasso, Fumiko Azuma,Graphic Monkey, Erik Svare, Guido Saldana, Paul Whitton, Ryan Parker, Lee Walton, Isaac Schulz, Izah Blue Hi-n Tenzion, James Tohill, Jamie Goodenough, Joey, Kiyoko Nagai, Kyoko Gamo, Maya Uegaki, Omar Cardona, P.J., Peter Vawter, Setsuna, Tasuya Suzuki and anyone we may have not mentioned. Thanks you so much. 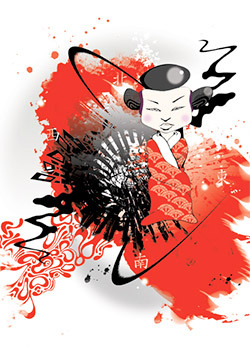 Pray for all victims and lost from Tohoku Earthquake. We still keep trying more things what we could through art and music as possible as we can. Thanks and best rgrds. 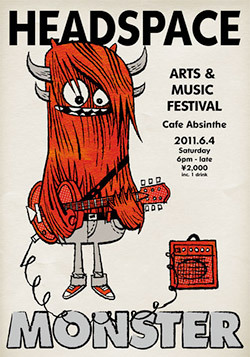 Saturday June 4th sees the return of the Headspace Arts & Music Festival at Cafe Absinthe. The follow up to last years wildly successful event will be in collaboration with Galaxy Gallery and will show case Headspaces’ artists in residence from the UK, Felt Mistress and Jonathan E who design and create unique monster characters. This year’s MONSTER event promises to be as eclectic and dramatic as the last with live music from 6 bands, dance, performance, photography, live painting and interactive installations. The event will be headlined by Eggore, purveyors of immersive ambient sounds and explosive live physical painting, along with 60 other local and international artists and musicians. HeadSpace is an event not to be missed. 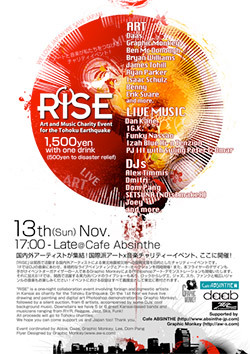 Get yourself down to Cafe Absinthe and revel in the creative abundance that Kansai has to offer! 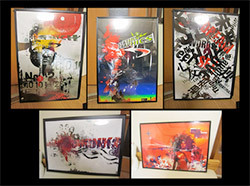 Headspace will be holding a charity art auction with all proceeds going to the Tohoku disaster relief efforts. Bidding will be open for 24 hours starting at the opening of the event. 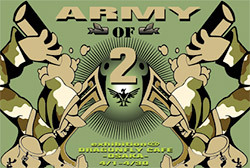 Bag yourself original artwork and support a good cause at the same time. There will also be a large collection of arts, crafts, and music on sale at the HeadSpace Artist’s Shop. 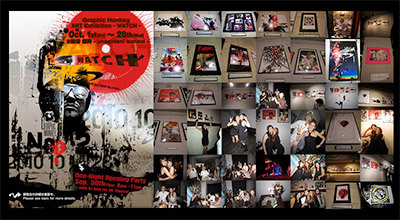 Great thanks for all people came to my exhibition. It was my first proper solo exhibition in my life, such a great experience! Hope to have next one someday soon in the future. 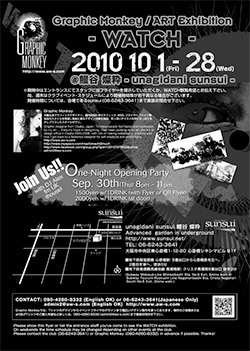 In celebration of my exhibition from October 1st - 28th at Shinsaibashi's club Sunsui on September 30th my English DJ friend is throwing a one night only house party! It's on a Thursday night but please get your friends and stop by! Its only 2000yen with one free drink! 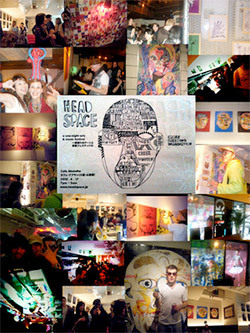 Studio HeadSpace, in conjunction with Cafe Absinthe and CODA, presents “HeadSpace”, a one-night arts & music festival, headlined by David Shillinglaw (Studio HeadSpace artist in residence from UK). With over 30 artists and performers, 6 bands and 8 DJs, this event will truly reflect the wealth of diverse local talent in Kansai and will be a party with very few boundaries. 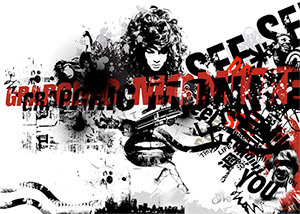 “HeadSpace” will take place at the new stylish premises of Cafe Absinthe, a long time supporter of the Osaka arts scene and promises to be a rich rollercoaster ride of arts, music, and performance. 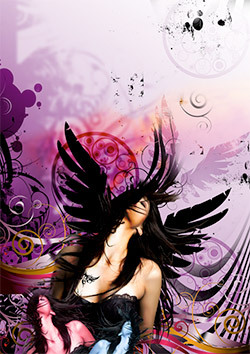 Come be part of the festivities and let us inspire your head space. 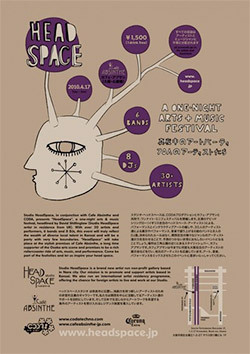 Studio HeadSpace is a brand new artist run non-profit gallery based in Nara city. 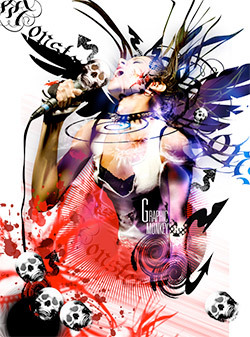 Our mission is to promote and support artists based in Kansai. We also run an international artist residency programme, offering the chance for foreign artists to live and work at our Studio. 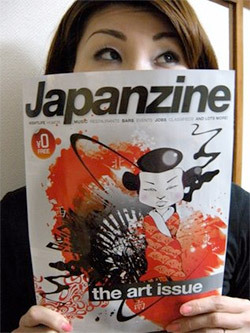 One of famous free magazines for foreigners living in Japan, "JAPANZINE" introduced some of STATIK GRAPHICS artworks for this month's art issue. Also you can see our artwork on the front cover. 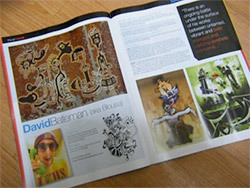 Drawing by David Bateman (aka BLOUSA) and other graphics by Graphic Monkey. 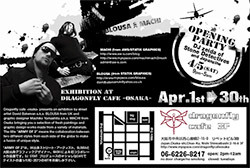 STATIK GRAPHICS(BLOUSAxMACHI) exhibition at Dragonflycafe -Osaka- in American Village during April 2008.